Easily Root T-Mobile Samsung Galaxy S2 Hercules SGH-T989, installs Busybox and SuperUser App too! STEP 0: CHECK DEVICE MODEL NO. Warranty may be void of your device if you follow the procedures given on this page. Before you begin with guide instructions below, make sure your android device is adequately charged — at least 50% battery of the device. To make sure your device is eligible with this, you must first confirm its model no. in ‘About device’ option under Settings.Another way to confirm model no. is by looking for it on the packaging box of your device. It must be SGH-T989! Please know that this page is meant only for Samsung Galaxy S2 Hercules. Please DO NOT try the procedures given here on any other device of Samsung or any other company. You have been Warned! Skip this step if you already have latest version of CWM or TWRP recovery installed on your device. Make sure that you’ve latest version of the recovery installed on your device. For help on installing recovery on your Samsung Galaxy S2, check our exclusive page on CWM recovery for Samsung Galaxy S2 Hercules. Download the file given below and transfer it to a separate folder on your phone and remember the location. Be sure to transfer the Rootkit file you downloaded above to your phone and remember the location of the files. You will need to flash it now on your device using either of ClockworkMod (CWM) or TWRP recovery. We’ve got separate guide for CWM and TWRP recovery, so use the guide relevant to the recovery you have installed on your device. Press and hold Volume Up + Home + Power buttons together and release them as soon as you see the Galaxy S2 logo. └ In Recovery mode, use Volume buttons to navigate Up and Down between options and use Power button to select an option. (For help, check out our Galaxy S2 Recovery Mode page). Create a Nandroid Backup from recovery. It’s optional but very important to do, so that in case something goes wrong you can restore to current status easily. For making a Nandroid Backup, go to Backup And Restore » Backup. Select Install zip » Choose zip from sdcard (or external sdcard, you know where your files are) » browse to the location where you saved the file and select the CWM_Root_Superuser_3.1.3_Busybox_1.20.2.zip file. Reboot your device. For this, go back to the main menu of recovery and select reboot system now. That’s all. Your phone will now reboot. On rebooting your phone will have proper root access. Create a Nandroid Backup from recovery. It’s optional but very important to do, so that in case something goes wrong you can restore to current status easily. For making a Nandroid Backup, go to Backup » and select all check boxes and swipe on the Swipe to confirm option at the bottom of the screen to confirm backup. Tap on Install » browse to the location where you saved the files and tap on the CWM_Root_Superuser_3.1.3_Busybox_1.20.2.zip file. Now at the bottom of the screen, do a swipe on the Swipe to confirm flash option to begin flashing. Reboot your device. Go back to the main menu of recovery and tap on Reboot » then, tap on System to reboot your phone. 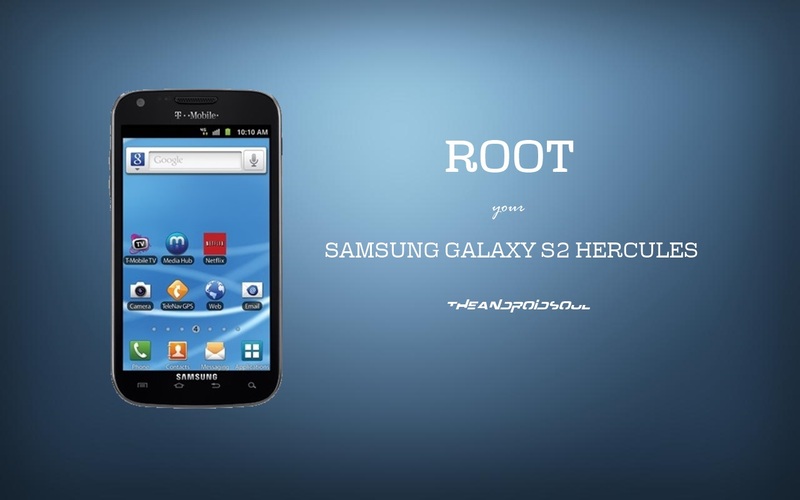 It was easy to root your Samsung Galaxy S2 Hercules, right? Let us know how you plan to use root privileges on your Galaxy S2. Your suggestions and queries, if any, are most welcomed!